1.1 With thousands of leaked images of the next Samsung Galaxy Note, here is one special photo render from Evan Blass. Could this be the one? With thousands of leaked images of the next Samsung Galaxy Note, here is one special photo render from Evan Blass. Could this be the one? The Galaxy Note 7 has been in the news too much and for the tech industry to be so excited about this single device is not that new. Rumors and leaked images have been popping out all over the place. But now a different image render of the possible look of the Galaxy Note 7 is leaked. From Evan Blass, a reputable “leaker”, showing different hue and color of the new Galaxy Note 7. These finishes include Black Onyx, Silver Titanium, and Blue Cora. 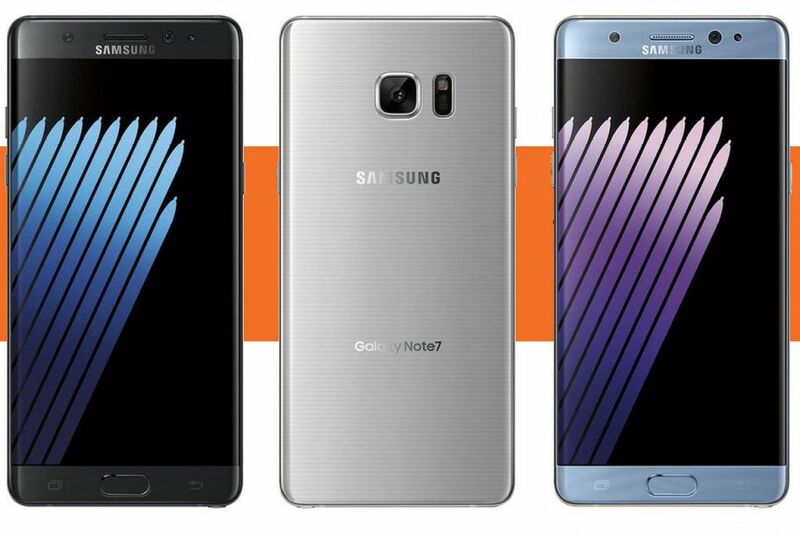 The Note 7 is yet to be released next month but this is the clearest image so far. The next Note may have an iris scanner for unlocking your phone with the eyes. These new leaked images seem to suggest a front-facing sensor setup to support the iris scanner, with two openings on either side of the front-facing camera. Images obtained by Android Authority showcasing a physical front panel confirm openings for the iris scanner as well.